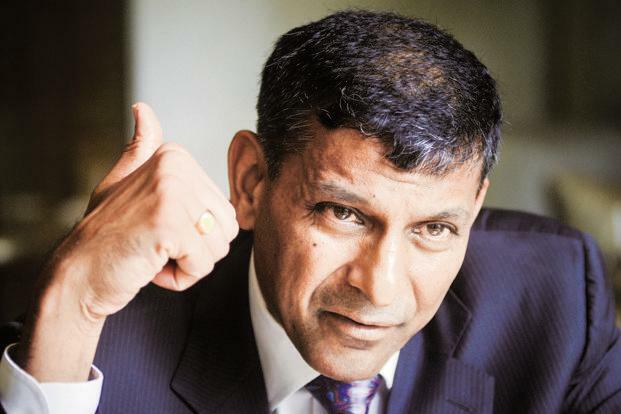 In your book you have written that despite the best and the brightest in RBI addressing the distressed assets situation, it was one area in which you couldn’t make much progress. How do you see the current strategy of dealing with NPAs differing from the steps you had taken? I think what we had missing was a Bankruptcy Code because any kind of restructuring happens with the ultimate threat that if it doesn’t happen in an appropriate way, the Bankruptcy Code will be invoked. So I think what is really good about the current situation is we have a Bankruptcy Code in place. We have to make sure that the functioning of the NCLT (National Company Law Tribunal) and so on is unhampered, and that it goes to its logical conclusion and the number of appeals to that process is limited so that it doesn’t become an endless circle of appeals. But if we can show some success there, then the Bankruptcy Code acts as a shadow to the processes that we structure so that everybody knows they have to work together quickly so as to resolve the situation; otherwise, it goes into the Bankruptcy Code. One of the remaining problems is still the ability of bankers to make appropriate decisions. They are scared of writing off loans for fear that there will be an investigation later. That issue we have to tackle. I understand that this anti-corruption bill that the government has may deal with some of that. It shouldn’t be that any consideration of loss, if the loss is taken for a longer-term benefit, is seen as a corrupt practice. You said the NPA measures you took were also kind of an out-of-court bankruptcy law when taken in totality. But would you have done things differently if the Bankruptcy Code had already been there? Of course. But ultimately, the out-of-court bankruptcy gets its teeth from the existence of the bankruptcy law. So it’s—if you don’t co-operate, we will go there (to NCLT), and that’s worse for you. Ultimately, that’s always how it works. One of the criticisms about the set of measures that RBI had come out with in those three years is there was an emphasis on recognition of the problem; but when it came to resolution, RBI effectively kicked the can down the road. Well, we were trying to not kick the can down the road but also give the bankers teeth. For example, this mechanism by which they could ease out the promoter, the SDR (strategic debt restructuring)—some of those were an attempt to give them some teeth. Remember, where we started, there was very little teeth and they (bad loans) could be held up forever and the promoter need never pay. So we wanted ways for them to (tackle) the promoter in the absence of the Bankruptcy Code. Of course, this process has taken long enough that we have actually enacted the Code and the NCLT’s functioning. And it will be important to make sure that it functions well. And then you have both possibilities, either do an out-of-court re-structuring through the RBI process or, if that doesn’t work, move under the Bankruptcy Code. Now that RBI has directly intervened in bad loan cases after the Banking Act amendment, do you feel there’s a conflict of interest? I think there is definitely a conflict of interest whenever RBI is being asked to essentially determine the fate of specific loans. It can determine how they are accounted for, it can say you have to treat this as an NPA but in terms of specific resolution, the further it stays away from the specific resolution, the better. I don’t think so far it has actually required a specific resolution. Instead it has said these (set of loans) are long overdue, you should sort of refer them to NCLT. But it hasn’t said this is how you should treat them. If it gets into that sort of micro-management, then I think there is a legitimate question to be asked how much should RBI intervene in specific resolution. In the book you have written that the true yardstick of progress for increasing public sector banks’ competitiveness is if the DFS (department of financial services) shuts down and management passes on to the boards of banks and the banks board bureau. But the banks board bureau has been a kind of disappointment, hasn’t it? I think you can speculate as to why. The logic behind the banks board bureau is something that has worked reasonably in other countries; so if there is unhappiness about how much it has done, we must go into details and ask why hasn’t it done as much as it could. Ultimately, I think the message from different Gyan Sangams (bankers’ gatherings) is—each bank shouldn’t be doing the same thing. I remember at one Gyan Sangam, there was a statement that if you go into a PSU (public sector undertaking) bank, you don’t know which one it is because they all look the same. So, given that, if we want variety, if we want to make sure that they all don’t do the same thing and make the same mistakes, it is important that they be managed differently, and that means there should be no common point of management and that is where the statement on DFS came in. DFS, unfortunately, turns out to be the common point of management. And we should de-centralize those decisions ultimately back to the boards. And government has its representatives on the boards. Let them participate in the decision-making rather than decisions coming from high (places). Do you think this is the right time for government capitalization bonds because it doesn’t have much fiscal headspace to re-capitalize banks? I think all these are different ways of window dressing the reality that you have to put money into the banks. Ultimately, markets and investors see through the window dressing and sometimes window dressing gives you the unfortunate impression that you haven’t used the fiscal room when in fact you have. So if you need to capitalize the banks, do it directly instead of going through the back door and trying to be very clever. I think it’s important to recognize that banks do need capital and you need to put it aside and if it means that there are other resources allocations that should be reduced, so be it. I mean, that’s the cost of staying within the budget. This is not painless. You are the governor who kicked off this new inflation management structure with the monetary policy committee (MPC) taking a decision. In your observation, how has the experience been? I don’t want to comment on monetary policy after I left office. But I’d say that the whole point of this structure is to say—give the government the ability to appoint people they trust as having very good capability to the inflation committee. And remember, the governor of RBI and the deputy governor are also appointed by the government. So, five out of six people are appointed by the government. The sixth is an RBI career employee who may be the only person who is not directly appointed by the government. So, given that committee and given that the government has determined the inflation framework, I think it’s important to let the committee do its job. And if you think the inflation framework is too tight, in five years—or whatever that time interval is—you have the ability to change it. But I think rather than continuously second-guessing what this committee does, based on the latest inflation reading and the latest growth readings, let it do its job. But that is what has constantly been happening—the finance ministry asking for rate cuts after every MPC meeting. So, my sense is that in many other countries, they stopped commenting and let the inflation committee do its job. And I think it’s not to say that nobody should have an opinion. People can have an opinion and can state that, but to expect that statement to have an influence, I think we should let the committee decide what it wants to decide. There is also this growing question about RBI’s own ability to correctly forecast inflation? Look, I think that there is going to be constant second-guessing. And I think sometimes the people who second-guess their own forecasts are not subject to the same kind of criticism that RBI’s forecasts, which are out in the open, are subject to. Any forecasting system will make errors. We don’t have perfect forecasts. Again, I think if you believe there are biases, by all means, say those things. And again, your monetary policy committee is made of smart people, and I think the three people that have been appointed by the government are all extremely capable people. Ravindra Dholakia (a member of the monetary policy committee) taught me economics at IIM (Indian Institute of Management) Ahmedabad. So I think, let the committee do its job. Do you believe the costs of demonetisation will go beyond immediately impacting growth and cause a structural impact? If the question is what impact will this have on the informal sector, and might it have put a few companies out of business, I think that’s a very good question. We don’t measure that very well. And there are anecdotal stories of that kind. In fact, I was met by a researcher who was doing work on an online business which closed down post-demonetisation. But we don’t have data on how big that effect is. So I can’t tell you that there has been a tremendous change there. Plus, remember that if in fact some businesses closed down, it has also given an opportunity for other businesses to expand into that area. So we don’t know what that net effect has been. Only time will tell. Do you think demonetisation could have been handled better in terms of some short-term growth palliatives being provided? Look, I think you can speculate for all you want on what should have been done, what could have been done, etcetera, etcetera. I think we are where we are and what we need to focus on is what we need to do going forward. And I think that clearly we need to revive private investment, clearly bank balance sheets need to be cleaned up and the banks recapitalized wherever necessary. And I think the power sector is a very important area where there is some danger that, you know, companies may go sick. We need to make sure that in an era where we have all the potential to produce all the power we need, that, in fact, distribution companies are not sitting in the way and essentially hurting the potential growth. And, finally, I think in the medium-term, the single biggest issue is our human capital. We need to improve the quality of our human capital at every level, and we have to be very worried about the kind of information that is coming from the ASER (Annual State of Education Report) tests—which is trying to estimate what our kids are learning. If they’re not learning as much as they ought to, we need to remedy it very fast before we get a whole range of children who are trained below par. The problem of private investment has been around for almost five years; nothing seems to revive it. I think it’s reasonable to say that there was a period of over-investment in 2007, 2008 which has created substantial capacity. But at some point, that capacity sort of gets whittled down. So if our growth also picks up and there are no more disruptions, then it is quite possible to imagine that we come to the limits of capacity that is currently in place and that corporations won’t be in rest mode. I think when I was there, we kept seeing that capacity utilization was below par. And so, there was really less need for investment at that point. But you can’t keep producing capacity out of nothing. Eventually, you have to invest. So we may, if growth keeps going on, eventually see an investment boom. Where the government can help is in accelerating some of the infrastructure projects. Where are we on the east-west corridor, the eastern freight corridor, the western freight corridor? Do we need to accelerate the process of project building? Some of that can help. In the book you said you had prepared a note on demonetisation and sent it to the government on weighing the benefits and the costs. Can you tell us what you wrote? I can’t. I can just say that RBI did its homework and appropriately advised the government, but the details of that advice, I’d be uncomfortable (to share). The only reason I mentioned the demonetisation is because in different fora, especially in Parliament, there were statements that were made that seemed to suggest that RBI was on board throughout this process. I wanted to make clear what RBI’s advice was. Given that Parliament had asked the question and, given that I was in charge of RBI at that time, it was important that Parliament knows what the answer was. Ultimately, Parliament is the safeguard of everything that is done, and has to ask the appropriate questions. In order for them to make the right decisions, they have to get the answers. I thought, given the garbled version that I read in the press, it was important that the real answer be there. Could preparations have been better? Could it have been better managed? I don’t want to comment as I’m trying to stay away from commenting on monetary policy and money-related topics vis-a-vis RBI. In separate places in your book, you had talked about how RBI has de facto independence and not de jure independence and also the rank of the governor. How does one go about ensuring that, especially when one of RBI’s tasks is to ensure macroeconomic stability? That is, in a sense, part of the rationale for this book. It is to tell you why it is in the nation’s interest to have an independent RBI because part of your job is to say no. I remember during my time, for example, there were a couple of loan waivers that happened. There were a lot of arguments from the states that were engaging in those waivers to exhibit forbearance. My worry was that once if you forebear here, it will set the stage for more such things down the line. In fact, we wrote to the Election Commission saying please find some way to make sure these aren’t poll promises. The broader point is that you have a role in the management of the risk in the economy and, sometimes, it means saying no to requests from people who are higher up in the hierarchy than you are. That is why I say the governor is not an ordinary bureaucrat. I mean, some bureaucrats also refuse some orders sometimes; but here, part of your direct role is to say no, that this is against the longer-term financial stability of the country and, therefore, I cannot do it. The recognition of bad loans, for example; if everybody had their way, nobody would recognize them. We all shift it forward by thinking of it as somebody else’s problem down the line. Ultimately, it is RBI’s responsibility to make sure that they are recognized. The finance ministry seems to think farm loan waivers are deflationary, while RBI thinks they are inflationary. Where do you stand on that? Arvind Subramaniam wrote a nice argument on it. I’m sure the MPC can write another argument. I’ll stay out of that one.